Fever epidemics struck the city 23 times, and the cause had yet to be identified. function would be to bury those who died during Yellow Fever season, from July to December. 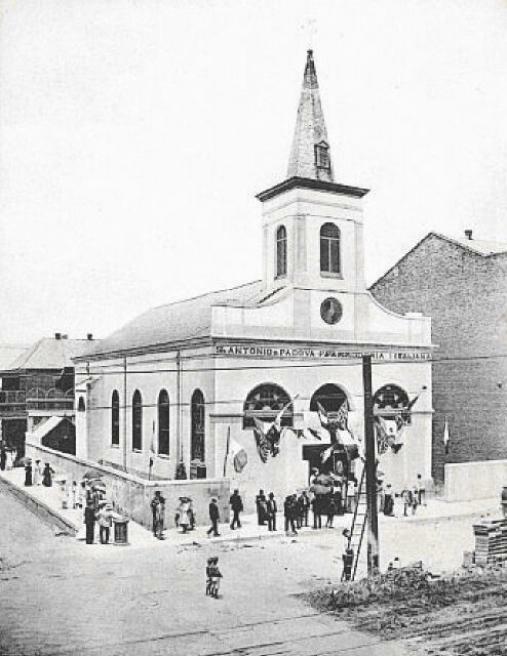 The building was completed in 1827 and it was dedicated as The Chapel of St. Anthony of Padua. allowed to enter the sanctuary but, for many years, no pews or seats of any kind were installed. services from St. Louis Cathedral and there are records of some masses being offered, as well. congregation made up almost entirely of Sicilian immigrants, and remained so for many years. there remaining until the shades of night disputed with it the reign of darkness.